Difference between revisions of "EmiMurano"
As a laryngologist and phoniatrician, Dr. Murano has diagnosed and treated patients with transitory and progressive neurologic dysfunctions. To answer questions about how humans adapt and learn new strategies for breathing, swallowing, and speaking to compensate for even slight changes in function caused by disease, medical interventions, or simple aging, Dr. Murano has used dynamic MRI techniques to view the digestive airways functions and the complex muscle interdigitation in tongue, lips, pharynx, and soft palate. The physiological complexity of the control of the orchestrate muscles of the digestive airways has led her to incorporate electromyography and tagged-MRI in her research and thereby quantify speech and swallowing movement and internal tissue deformation. Specifically, her expertise in fine hooked wire electromyography of the head and neck muscles for voicing, speech, and mastication enables her to tailor functional questions of motor control in speech and swallowing that are not completely understood from kinematics and EMG. Using dynamic MRI, such as cine-, real-time-, and tagged-MR, she can quantify speech and swallowing movement and internal tissue deformation. Three-dimensional anatomical labeling of the digestive airways performed using high-resolution and diffusion tensor imaging of the muscle bundles allows precise measurements of the airway’s surface, soft tissue deformation, and muscles during the dynamic movement of digestive airways during different functions. Thus, they provide substantial knowledge of disease, dysfunction and adaptation strategies not explained before. Dr. Murano’s particular research interest is head and neck cancer patients whose speech and swallowing are substantially affected after surgical and chemoradiation treatment. In the short term, she would like to quantify function and dysfunction with a reliable tool that can measure new treatment forms and explain why certain therapies can be better than others from the functional perspective. 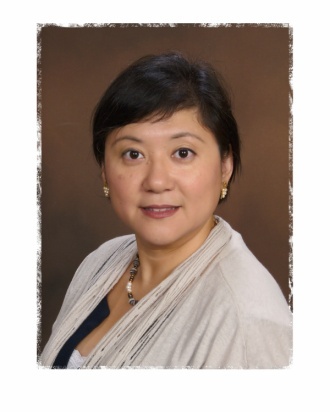 Her work involves collaboration with a multidisciplinary array of professionals, including otolaryngologists, radiologists, speech language pathologists, physical medicine and rehabilitation specialists, radiation oncologists, and computer science and electrical engineers in the United States and abroad. Dr. Murano, a graduate of University of Sao Paulo, Brazil, received her residency training there in Otolaryngology. She obtained her doctoral degree in Surgical Sciences from The University of Tokyo completing her thesis on speech motor control using lip electrical stimulation at the NTT Basic Sciences Laboratory, Atsugi. While in Japan, she completed advanced clinical training in voice and speech disorders as a Phoniatrist (certification from the National Rehabilitation Hospital, Tokorozawa), and one-on-one mentoring in head and neck clinical and research electromyography, MR imaging, and vocal folds high speed digital imaging. Twice awarded the Japanese Ministry of Education scholarship, she became a research member of the Creating the Brain program of the Japan Science and Technology (CREST-JST). Before joining the faculty of Johns Hopkins University in November 2009 as an assistant professor, Dr. Murano spent her first year as a post-doctoral fellow at the Division of Human Biophysical Research at ATR, Kyoto. In 2005, she joined the Department of Pain and Neurosciences, University of Maryland, Baltimore, and obtained her first NIH grant K99/R00 award in 2007. Dr. Murano retains adjunct faculty appointments with the IACL, Department of Electrical and Computer Engineering at Johns Hopkins. This page was last modified on 17 April 2013, at 11:22.